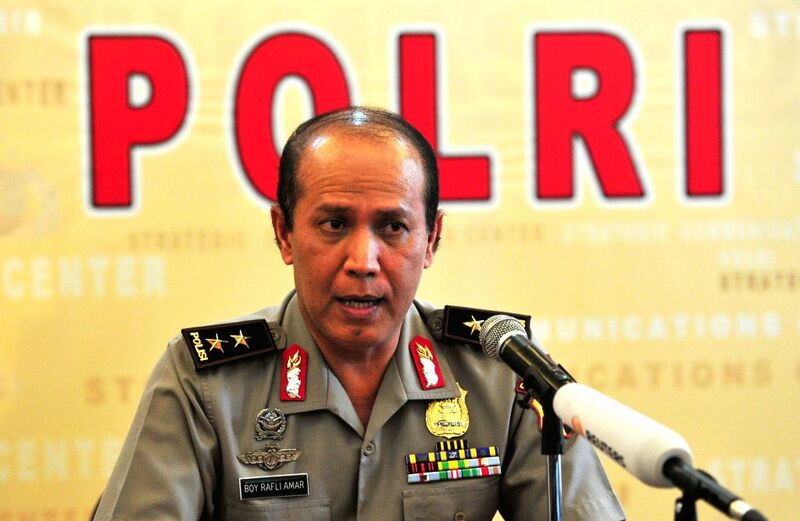 JAKARTA, July 19, 2016 - Indonesian National Police spokesman Maj. Gen. Boy Rafli Amar speaks to the media during a press conference at the National Police headquarters in Jakarta, Indonesia, July 19, 2016. Indonesian police believes that the country's most-wanted terrorist Santoso, who has been hiding in the mountainous jungles of Central Sulawesi, was killed in a shootout on Monday evening.